I know, I know... You have a hot date... a big interview. An important meeting to attend. Figuring out what looks good on your unique body type can be challenging enough. Then add your skin and hair coloring, lifestyle and seasonal trends into the mix and suddenly you find yourself at a complete loss for what to buy and what to leave on the shelves. So you desperately bring home whatever fits. As a result, you end up knee deep in a closet brimming with clothes, yet too often have nothing to wear for the occasion... sound familiar?! Shopping and getting dressed can be hair-pulling experiences. And that's exactly why savvy people don't do it alone... they employ personal stylists. However, with stylists charging rates of $50/hr and up, they aren't always accessible to the average person. Fortunately for us, a few major stores now offer FREE appointments with their in-house personal stylists. Expect stylists to consult with you beforehand via phone or email, pull clothes for you to try on when you come into the stores, invite you to special shopping events, give you first dibs on new arrivals, alert you of sales and more. 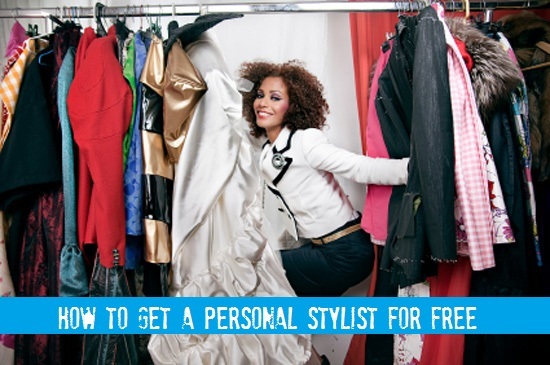 Have you ever used a fashion stylist? What are your most common wardrobe woes? Are there any stores that I forgot? Leave your comments below. Also, checkout this fashion advice post from the Bon Vivant and a Budget archives. P.S. don't forget to make an appointment! Modcloth is online but has the Modstylist staff to help w/ styling as well! That's really interesting... glad you decided to pursue your dreams! Thanks for sharing, Sierra!